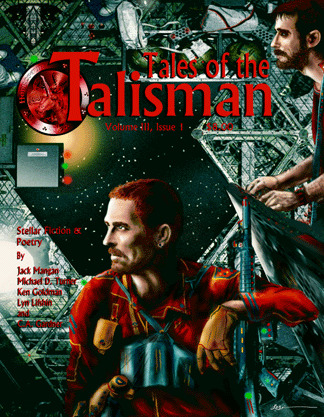 A little late at the presses, but I bring a new story to the Summer-Fall 2013 issue of David Lee Summer’s genre periodical, Tales of the Talisman. This would be my 6th appearance between its pages, and this time I weave a historical fantasy tale involving witches. Witches seem to be very popular as of late. With The Witching Hour and American Horror Story Coven opening to record numbers, the dark practitioners are far from overused. My yarn leans more toward Hogwarts though, so Harry Potter fans will surely relish in this slightly different approach. Read my 5,000-worder: She Left Home Under a Cloud of Dragonflies, now. Click pictures or links for direct order; line-up also below. Issue 9.1 featuring fiction by: Christian Martin, Simon Bleakan, Glynn Barrass, Uncle River, Davyne DaSae, C.J. Henderson, Frances Silversmith, Derek Muk, David B. Riley, Jeff Stehman, Hunter Liguore, Melinda Moore, Mira Domsky, and Lawrence Dagstine. Also, poetry and illos by G.O. Clark and Marge Simon. And much, much more. 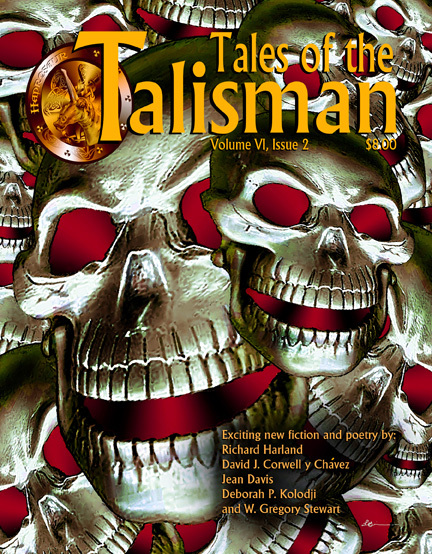 With stories and poetry by: Martin Turton, Thom Gabaldon, Aurelio Rico Lopez III, Lawrence Dagstine, John Grey, roibeard Ui-neill, Patrick Thomas, TJ McIntyre, Daniel C. Smith, Deborah P. Kolodji, W. Gregory Stewart, Jean Davis, Richard Harland, and MORE!